I recently made a presentation at the 2013 Australian Swim Coaches and Teachers Association to a large group of coaches from Australia and surrounding countries on ‘Educating Parents Effectively’. The purpose of the presentation was to assist swimming coaches to more effectively educate the swimming parents in their program. At the beginning we looked at why parent education is essential. 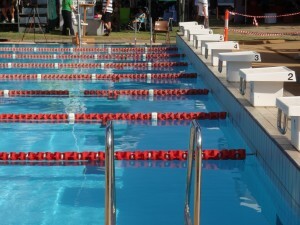 Swimming is a very complex sport with many different requirements both in and out of the water. The sport relies on a large time commitment from the swimmer themselves and the parents too. Competitions can be quite emotional for swimmers and parents and as your son or daughter gets older, the program commitments (like number of sessions and the length of sessions) increases over time. 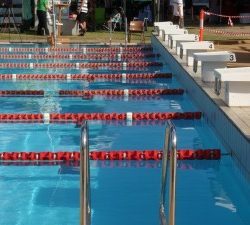 The biggest mistake coaches make in swimming is not taking seriously enough the need to educate and prepare swimming parents for the journey through the sport of swimming. If parent training and education is not provided by the coach (or club) then there may well be a misalignment of expectations between the parent and the coach. Most parents want to be educated when they get involved in swimming… however they rely on other parents for that education. Its time for coaches to educate their parents effectively. Coaches have to coach the parents as well as the swimmers to achieve this. We then looked at what is the model sport parent. This parent is supportive of their child, their child’s coach and the relationship between each other. They will encourage their child and love them regardless of performance. They will ensure that the child has all the transport and equipment needs covered and will help other families in times of need. They will support the decisions of the coach and understand and respect the important role that the coach plays. Each swimming club will have a chain of command. Usually this will involve your child’s coach as the first point of contact if you have any questions. Most clubs will encourage the swimmer to speak to the coach and then if the parent has to get involved in the discussions, they can. The next step would be to speak to the Head Coach if a solution had not been found over a 3 to 4 week period. One of the other key messages was to “Put Sport into Perspective”. Coaches need to remind parents that it is a sport for their children. A parents role is to provide the necessary support and encouragement. The coaches role is to help educate and improve a swimmers performance. The swimmers role is to commit, enjoy learning, apply themselves, train and compete hard and to enjoy it! No PBs at Nationals. Why… and Could It Be The Suit?